A Board Certified Assistant Behavior Analyst ™ (BCaBA) is someone who possesses a Bachelors Degree, has 135 classroom hours of specific coursework, meets experience requirements, and has passed the comprehensive Assistant Behavior Analyst Certification Examination. Being a Board Certified Behavior Analyst is one of the highest credentials one can achieve with respect to providing Behavioural Consultation for children diagnosed with Autism. BCBA certificants maintain their credentials by accumulating continuing education credits. Our Clinical Director and Senior Behaviour Consultants are certified by the Behaviour Analyst Certification Board. Family Centred Practices Group provides supervision and mentorship to all Program Supervisors and Behaviour Consultants working in collaboration with the group. 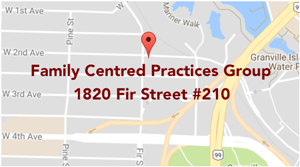 If you are interested in a position with the Family Centred Practices Group and in receiving BCBA supervision, please contact us at info@fcpg.ca for more details.